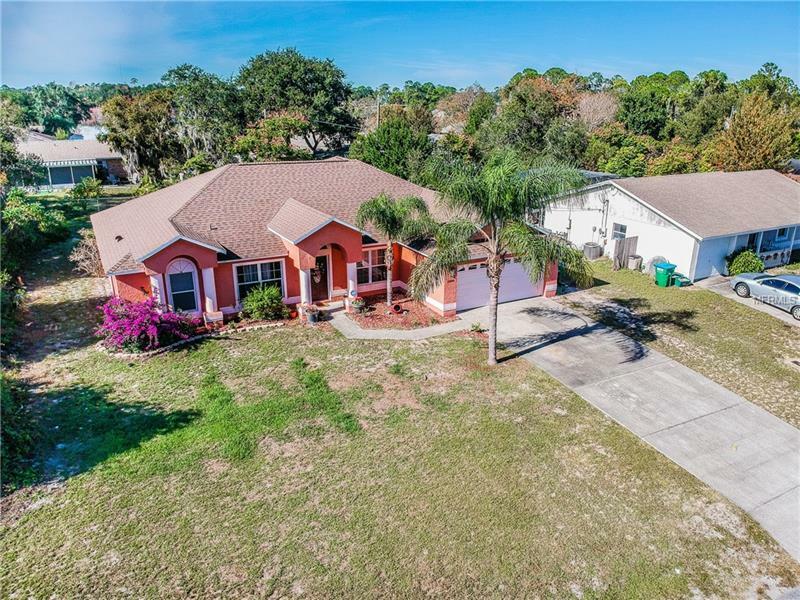 Outstanding 4 bedrooms, 2 full bath family home that sits on 0.31 acres of cleared land in Deltona Lakes. Pride of ownership shows throughout this meticulously maintained bright home. It's loaded with upgrades including custom floor tile and lots of granite counter tops throughout. The kitchen features, granite counters, stainless steel appliances and over-sized pantry. You will find upgraded lighting fixtures and decorative ceiling fans in all rooms. This Beautiful home also has 2 car-attached garage. BRAND NEW ROOF!! Views of nothing but preserve in the distance without an HOA looking over your shoulder, this is serenity at its best. Come see for yourself!